Below is a selection of presentations that we are ready to deliver for interested audiences, along with the names of the instructor(s) available for each topic. All these presentations are tweaked to fit different audiences, events and time requirements. We are also more than willing to put together a unique presentation if you desire. Night photography is more popular and accessible than ever before, yet it can require intimidating techniques and pose some of the most confounding challenges. But fear the night no more—the National Parks at Night team will shine light on the world of nocturnal photography, sharing images and breaking down how they got each shot. They'll also discuss the importance of scouting locations and tracking the sun, moon, stars and Milky Way. You'll learn about essential gear, post-production tips, light painting, star trails, star points and urban night photography to elevate your work and maximize your experience in one of the most exciting new horizons in photography. The night may be dark and full of shadows, but night photography expert Gabriel Biderman is here to relieve the fear and reveal the mystery! He will share some of his favorite images from his book Night Photography: From Snapshots to Great Shots as well as shed light on creating inspirational images once the sun goes down. Gabe will help you look beyond the fleeting moments of time and inspire you to create stunning images that can be captured when you expose for seconds, minutes and even hours, and will expand on his experiences in the night and help demystify how to successfully shoot the moon, capture star trails and cityscapes, and paint with light. From sea to shining sea, the national parks preserve some of the country’s most unique wilderness areas. In this presentation, Chris Nicholson, author of Photographing National Parks, delves into what the park system offers to the photographer, and how to best research and prepare for a trip to explore the artistic opportunities within. Learn how to travel safely and photograph in the various environments found in the parks, including desert, alpine, forest and coastline. Chris also shares secrets for finding new and exciting photography spots, how to stay powered up in the outdoors, ideas for supplementary gear that will make a photo project more productive and enjoyable, and tips for scouting locations to maximize your creative potential. Many national parks will be discussed, including Acadia, Big Bend, Death Valley, Everglades, Grand Teton, Great Smoky Mountains, Olympic, Redwood, Shenandoah, Yellowstone and more. Painting with light is an exciting and artistic way to portray your subject in a completely unique manner. 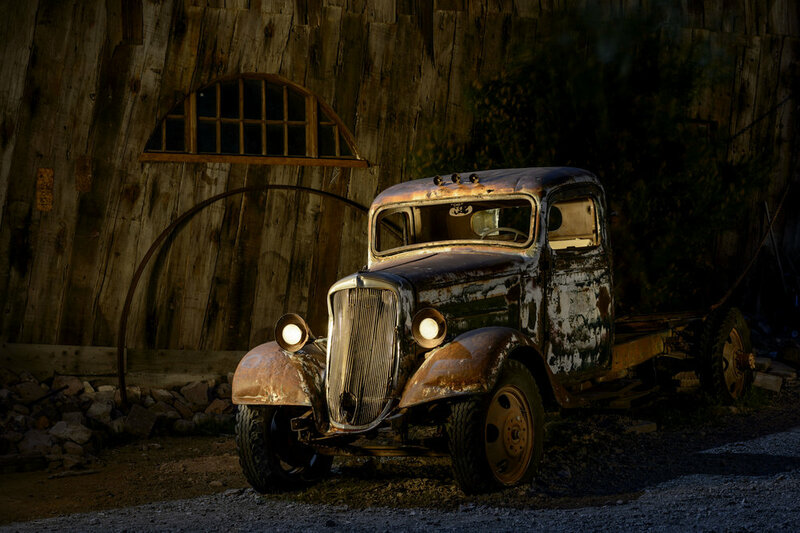 Using the darkness of night as the backdrop and any subject as the canvas, the photographer works like a painter using flashlight to illuminate, highlight and emphasize their subject. Using your own light source to illuminate the scene provides unrivaled creativity in rendering your final image. Experimentation with color, intensity and angle of the light source creates limitless possibilities and adds another technique to your portfolio. The tools are simple and the technique easy to master. The northern lights, or aurora borealis, is one of nature’s most awe-inspiring sights. Experiencing a strong display is truly an unforgettable experience, and staying “focused” on photography takes real effort as the aurora can be overwhelming. The intensity of the northern lights varies tremendously––the brightness, how quickly it moves, the color, and position in the sky can all change from one moment to the next, which makes photographing it a real challenge. The ambient light level also has a strong impact on the appearance of the aurora, and varying degrees of moonlight or light pollution all impact aurora photography. In this presentation, you will learn about when and where the aurora is most likely to occur, and how to be prepared for it when it arrives. You’ll also learn the best techniques to capture the aurora, regardless of when and where it appears. Experience the magic of the Galapagos as explorer and travel photographer Gabriel Biderman shares his stories and images from his last two expeditions to these legendary islands. Meet all the animals—the ancient and Giant Tortoises; the Blue, Red and Nazca Boobies; land and marine iguanas; sea lions; Sally Light Foot crabs; the Winged Albatross; and flamingos! Let’s not forget the life aquatic—sea turtles, sharks, penguins, rays and plenty of exotic fish. And the best part is that this amazing array of wildlife is up close, uninhibited and ready to share their volcanic little worlds with you! Gabe will walk through the tools, techniques and considerations that he applied in creating his latest portfolio of the Galapagos experience. In the far north of Scotland, it truly never gets dark for a month on either side of the summer solstice. Deep twilight lasts for hours on end, and this is some of the most magnificent light there is for photography. The Scots call this the “Simmer Dim.” Instead of a “blue hour” that lasts for 20 or 30 minutes, it stretches on for four or five hours, and is perfect for light-painting the many neolithic sites of the Northern Isles—and also for photographing the small towns and villages, because the streetlights of the towns are nicely balanced with the ambient light in the sky. Mix in some fog, and the resulting colors can be amazing. Lance has traveled regularly to these Northern Islands since 1995, and in this presentation he shares his images and experiences from these adventures. Planning has one objective: to maximize your time and creativity. By researching your options in advance, and by actively refining your strategy while on-site, your photography and your overall experience will improve dramatically. Whether you are on assignment, on vacation, or something between those extremes, research and scouting will make your national park project better. It may save you from wasting good light while hiking to someplace that turns out to have no good view of anything, or it may lead you to wonderful places and photographic adventures that you would never have otherwise found. This presentation will review various strategies and tools for researching and scouting national park photography locations, both before your trip and once on site. Learn how to build a plan that gives you structure, that gives you confidence, and that leads to the most productive, successful and enjoyable shoot possible. On first glance, Death Valley can appear to be a place of vast emptiness—a desert within a desert, harsh, and devoid of life and visual interest. But upon a second look, that mirage melts away, revealing a land of vast beauty, diverse in its features and its aesthetic opportunities. Explore the photographic possibilities that lay waiting among landscape—the dunes, the playas, the salt flats, the mountains, the canyons, the rock formations, the historic sites and the night skies. Hear the stories behind photographing such places as Badwater Basin, The Racetrack, Mesquite Flat Sand Dunes, Ubehebe Crater, Wildrose Charcoal Kilns, Rhyolite ghost town and more. See all that Death Valley, the largest national park in the contiguous United States, offers to photographers, from roadside oddities to backcountry beauty.